You will be emailed every time you sell one of your images and/or the extended rights to the image file. You may also view all of your sales in the “View Your Sales” tab. We make payments to all artists on the 3rd Wednesday of each month via PayPal or Payoneer. Once you have been paid, it will say "Statement Approved, paid" and display the date you were paid for each sale. 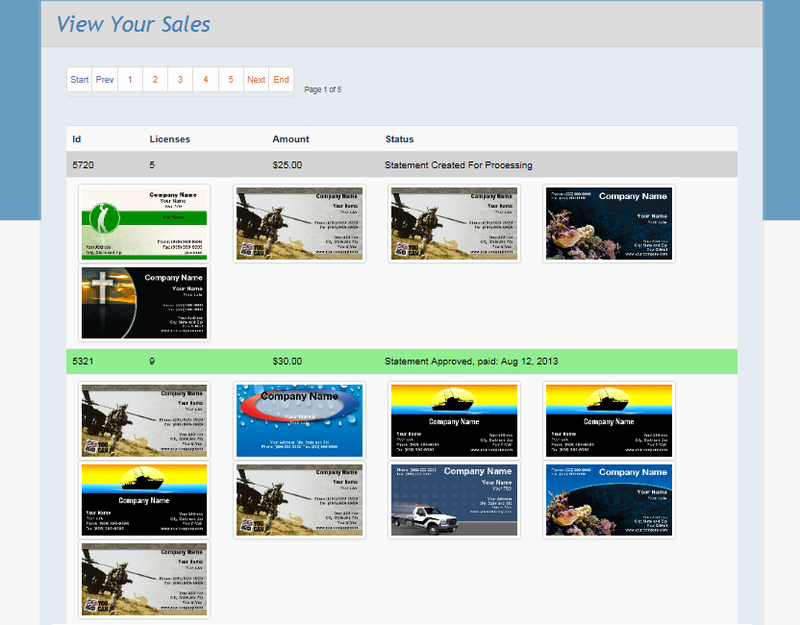 You will earn $5 every time one of your business card templates is sold and $25 every time one of your templates is sold along with the art file. You are paid $5 on all new orders and all reorders of business cards.